Paul & Shark mock neck with zip and flap, 100% extra fine merino wool with patch sewn on shoulder. Water-repellent machine washable yarn with Three in one kompact technology very resistant that does not pill. Regular fit. Possibility to receive a personalized key ring with your initials, by registering the purchase on the Paul & Shark website. 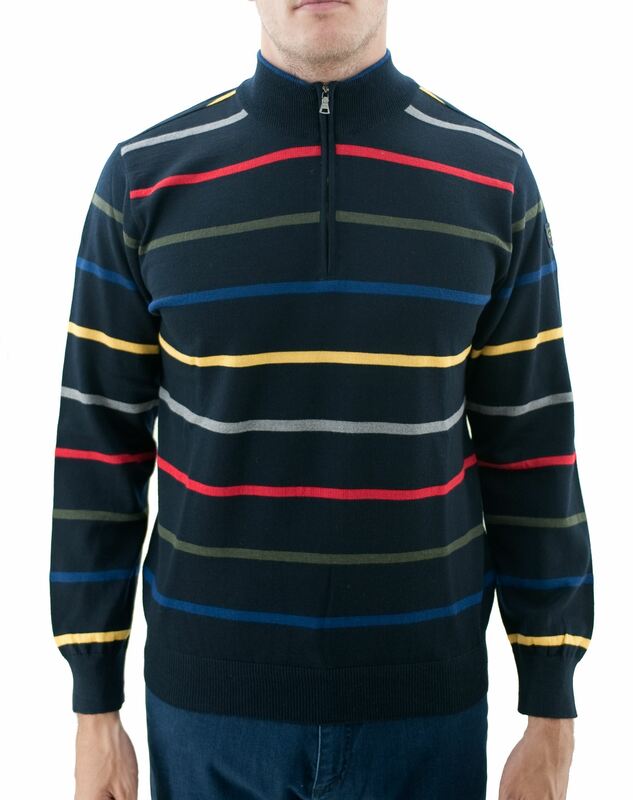 This Paul & Shark sweater is suitable for those who dress sporty and are looking for an intermediate weight, warm and at the same time not bulky garment.